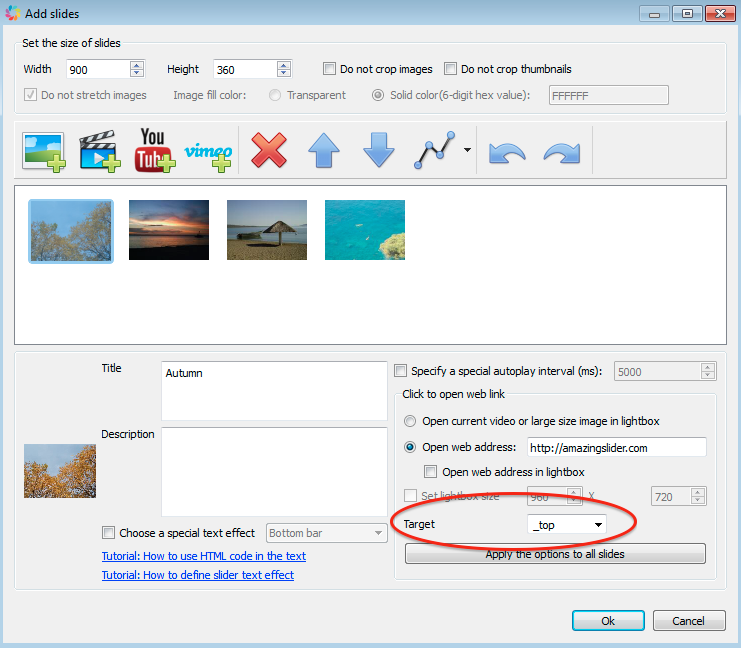 I am wondering if there is a way to disable right click so users can't view or download individual images? In fact, there is no way to stop people downloading the images. As long as the image is public on your webpage, no matter what you do, there will be a way to download it. I think the only way to protect them is adding some watermarks to the images. Hi there -- Can I insert the slider into a Volusion.com e-commerce template web page on a Standard licence, or do I need the Enterprise version? When I click the slider, the links open inside the iframe small box. 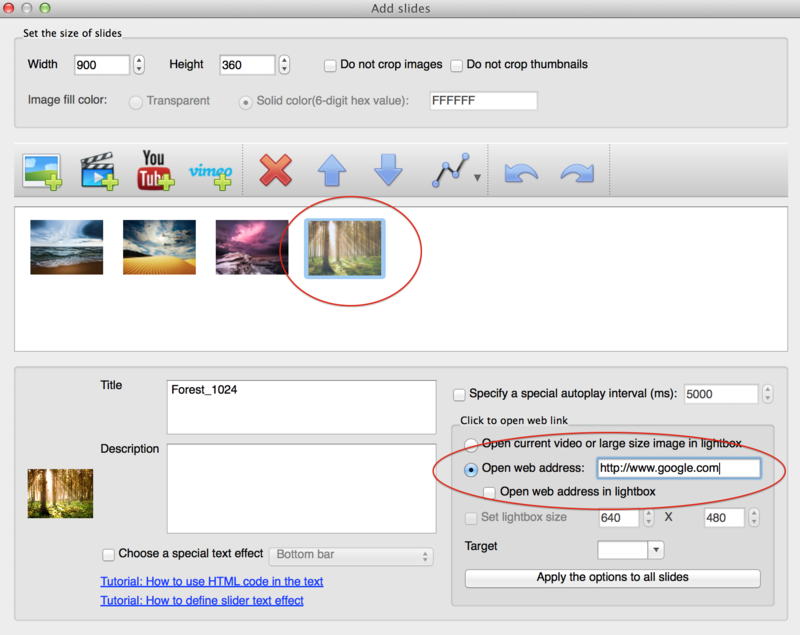 In the application, step 1, Add Slides dialog, when you assign the web link to an image, in the bottom Target, choose the value "_top". In this way, the web link will be opened in the parent window, rather than inside the iframe. Hello, I'm interested in using your slider but can you let me know if I can make the images link to different pages on my site please. In Add Slides dialog, after you add your images, click an image and select it, then you can enter your link in the bottom fields. You can enter a different link for each of your images.